Established since 1979, specializes in home interior design. In 1998, AYODHYA first joined an export exhibition. 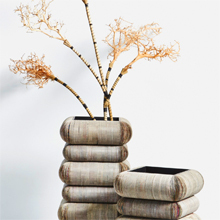 Since then, the Company has focused on bringing Thai traditional crafts to the contemporary home decorative products. Every item of AYODHYA is handmade in a traditional Thai craftsmanship using a network of grassroots. Not only has AYODHYA introduced unique products, but the Company also provides supplementary income directly to the Thai villagers.